Tanabe Revel Dry Carbon - Dezod Motorsports Inc - Home of the automotive performance enthusiast since 2002. The new Revel GT Dry carbon overlays utilize real dry carbon fiber to produce a premium look without needing to remove or replace existing OEM panels. Enhance the look of the interior with perfectly fitted dry carbon overlays. Using various methods of extensive testing for each piece ensures accurate fitment over OEM pieces. 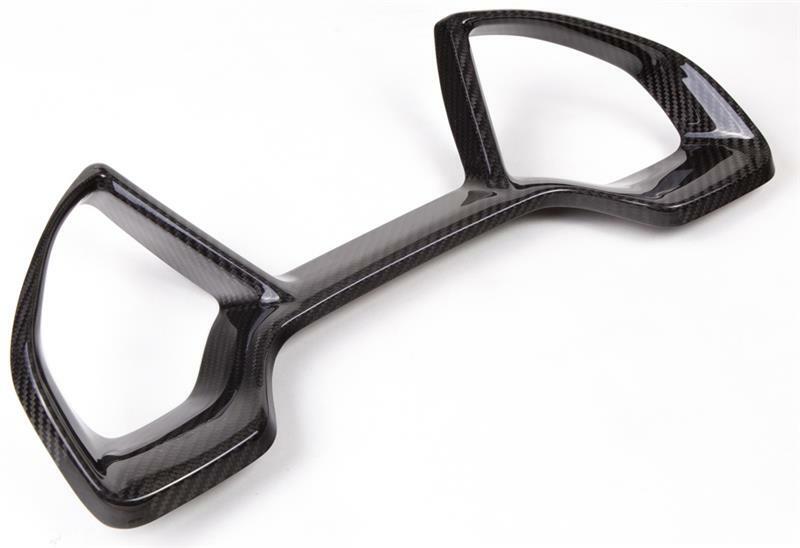 This involves careful analysis and measurements from every angle to create a precise carbon mold can be easily placed over the OEM panel. A multi-layered gloss treatment is applied to enhance the aethetics of the premium dry carbon. Each pattern of the carbon weaves are clear and is a high quality improvement over stock. A UV coating is applied to the dry carbon to protect its finish for a durable lasting shine.